St. David’s Church has a unique place in Pontypridd town centre because of the broad, open and inclusive nature of its ministry and believes it has a distinctive and necessary contribution to make in this town. The church has always sought to work out its faith through reflection and proactive engagement with the wider community. Recently as a further step on this journey it has committed itself to the vision of becoming a catalyst for forming a wider community engaging with social need and civic life and working towards imaginative, radical and practical renewal in the life of Pontypridd and the valleys. This vision is born of a church that has its life sustained in worship conducted on two sites, one in the Town Centre and one in a residential area. These different contexts are at the heart of its vision and express its commitment to serving the whole community. A sharing arrangement has been agreed between St. David’s Uniting and Castle Square URC Treforest. 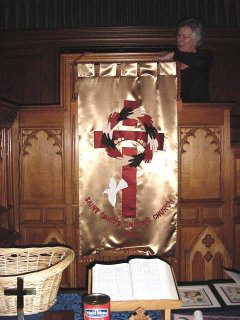 In 2007 the church first made a formal commitment as an open and affirming church. Towards the end of 2012 as part of its preparations for calling a new minister and after a specially convened day of prayer and reflection it reaffirmed this commitment at a subsequent church meeting. invite you to journey with us as we share and explore what it means to live as a Christian in Today’s society. At the heart of our church life you will find our worship and our fellowship, both of which we declare to be inclusive of all and exclusive of none. Our welcome is unconditional. provide a safe space for dialogue, where all can be honest and open about what they believe and feel. We support the work of Amnesty International; Displaced People in Action, working with asylum seekers; and we have a Peace & Justice Group. We are a place where relationships can be blessed, regardless of the partners’ genders. 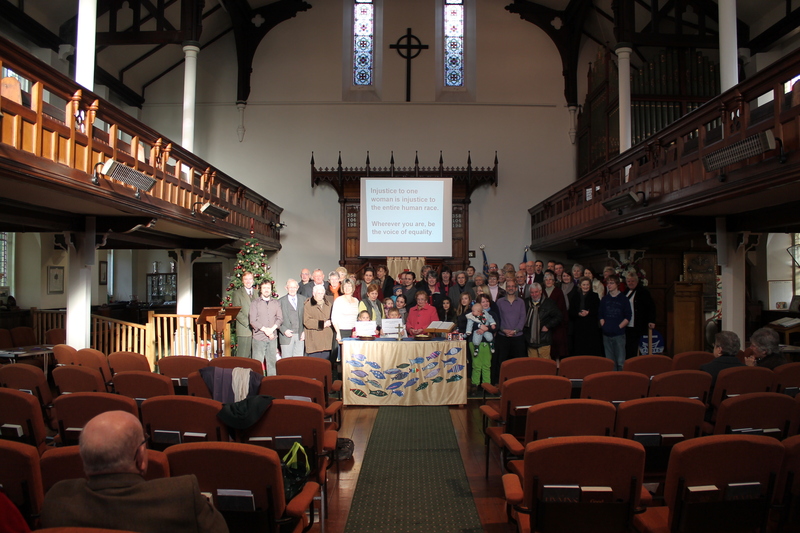 We are members of Pontypridd Christians Together and work with members of other churches in supporting Christian Aid, the Adref homeless hostel, and campaigns for FairTrade. We provide a meeting place for Guides, Stamp Club, Sing for Life Choir and other groups. Believing that children are important to God, we value young people as part of our church life through Junior Church, Youth Group and Kids’ Club. We make space for Honeybees playgroup, and support the work of Home Start. We seek to support each other and help each other grow through Ladies’ Guild and Fellowship meetings. We reach out through Coffee Bar, leaflet drops and other activities. The writer of the letter to the Ephesians has a vision not just of the world but of the whole universe made one in Christ (Eph.1:10). At the heart of this vision is the crucified and risen Christ, and the church which in the name of Christ brings together people of different cultures, races and backgrounds, both Jews and Gentiles (Eph.2:16). God calls this united church to be agents of his purposes, drawing all things ‘in heaven and on earth’ together (Eph.2:10). As Christ is their peace (Eph. 2:14), so in turn they are to be peace-makers in the whole of God’s world (Eph.4:1-4). As a uniting church which brings together three denominations, we confess with gratitude and joy our dependence on God, who by his grace has brought us together in Christ. Together we seek to express this uniting vision in our ministry to build the Kingdom of God in the community, with a focus on the development of the community as well as service within it. The unity of creation. We seek to be involved in issues relating to Justice, Peace and the Integrity of Creation, building international links, addressing economic and social injustice, highlighting environmental and ecological concerns etc by means of such things as projects and campaigns. The unity of the community. We seek to be a place where none are excluded, and where all, especially those who experience rejection elsewhere, can know the welcome of Christ. Confessing the brokenness of the world along ‘religious’ boundaries, we seek also to build constructive relationships with other communities of faith. The unity of the church. We seek to broaden and deepen ecumenical relationships and strengthen everything that enables us all to grow to the maturity of Christ. The unity of the individual. We seek to offer opportunities for people to learn more of what it means to be truly human, body, mind, spirit, created in the image of God.